[qidai@qidai-pc cc]$ docker build -t x:x -f file . [qidai@qidai-pc test]$ docker build -t s:s -f cc/file . [qidai@qidai-pc test]$ docker build -f s:s -f cc/nofile . [qidai@qidai-pc test]$ docker build -t s:s -f cc . 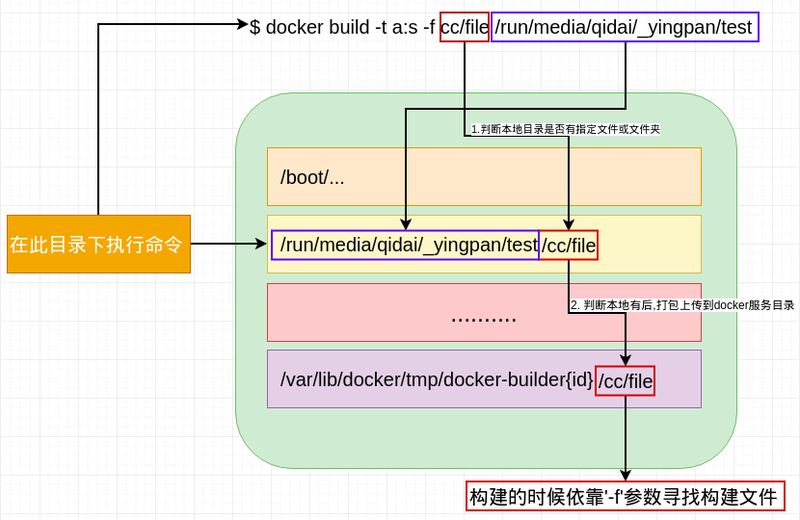 [qidai@qidai-pc test]$ docker build -t a:a -f cc/file .